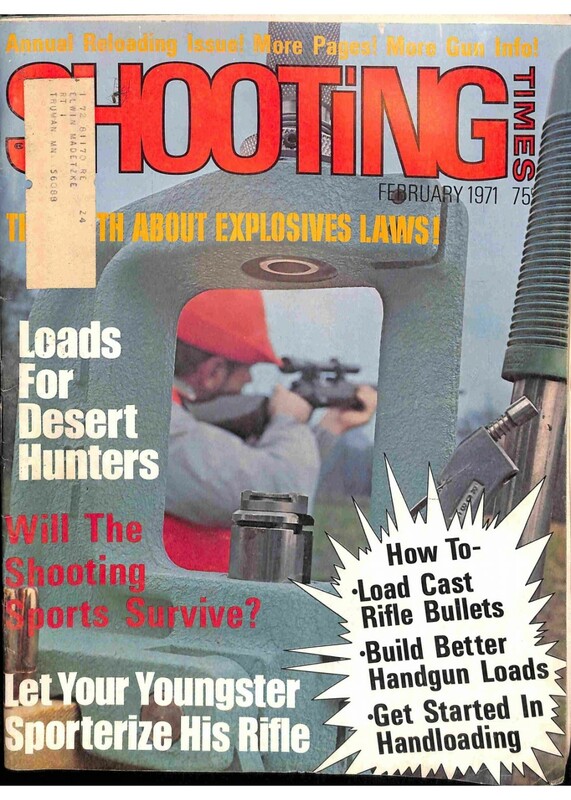 Your Cover Print of Shooting Times, February 1971 will be printed as shown, from a high-resolution photo WITHOUT the MereMart.com logo. The intended goal of this free print is to advertise and promote our products and to educate our customers about the condition of the specific magazine. We take crisp photographic images of our vintage magazine covers using high-precision Fujitsu overhead scanning technology. While the image may be slightly enhanced by digital post-processing for color management and noise, the cover prints will show original address labels (if present) and original magazine wear. All our prints are created using top quality pigment ink and premium density microporous photo grade paper. The cover image shown is an accurate and faithful reproduction of the magazine we physically hold in stock at MereMart.com. Our handling and shipping fees include only the cost materials such as premium photo ink and large-format paper, tube packaging and prompt shipping.